Once a sleepy fishing village, the seafaring heritage of Pattaya is uniquely preserved at Baraquda Pattaya Mgallery. Connect with nature in the sea-themed lobby, where modern-retro elements mix with minimalist boutique design. Awake to serene bliss in a suite awash in soft color and soothing light. 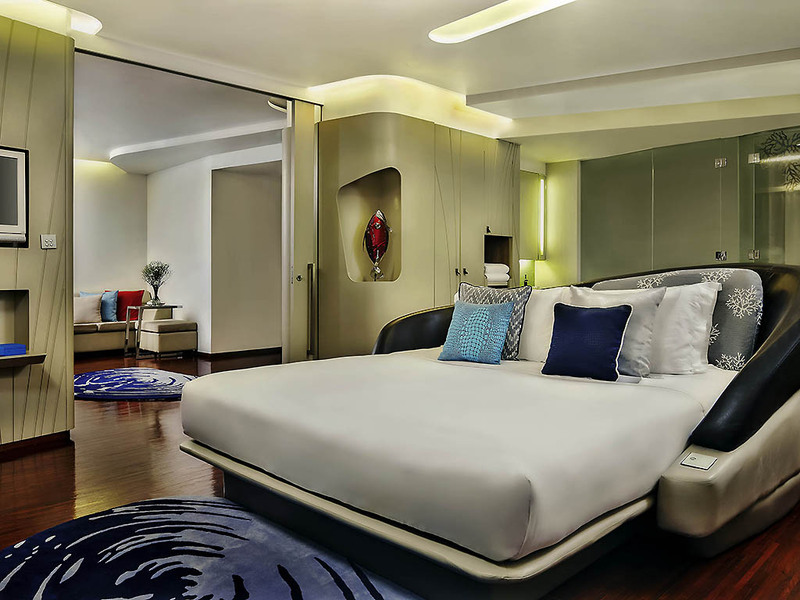 Then set out into the nautical halls of this 5-star haven on your way to cultural exploration and culinary discovery. For providing rare moments of delight is MGallery's specialty. Savor sea bass en papillote at SEA Restaurant as you gaze out soaring windows to glistening aquamarine water dancing atop a fish-shaped pool. Gourmet picnics can be arranged out at sea, or on a desert isle, for transcending views of the fiery sunset. Create memorable moments at our very own Sunset Lounge. Set on the floor 6 of the hotel, the Sunset Lounge feels like the top deck of a luxury boat, sipping cocktails at the Captain's outdoor table with a stunning view over Pattaya and out to the sea. Baraquda Pattaya MGallery is in the heart of Pattaya. After a 90-minute drive from Suvarnabhumi International Airport via Highway No. 7, exit into Sukhumvit Road and turn into South Pattaya Road to reach Pattaya 2nd Road where the hotel is located. 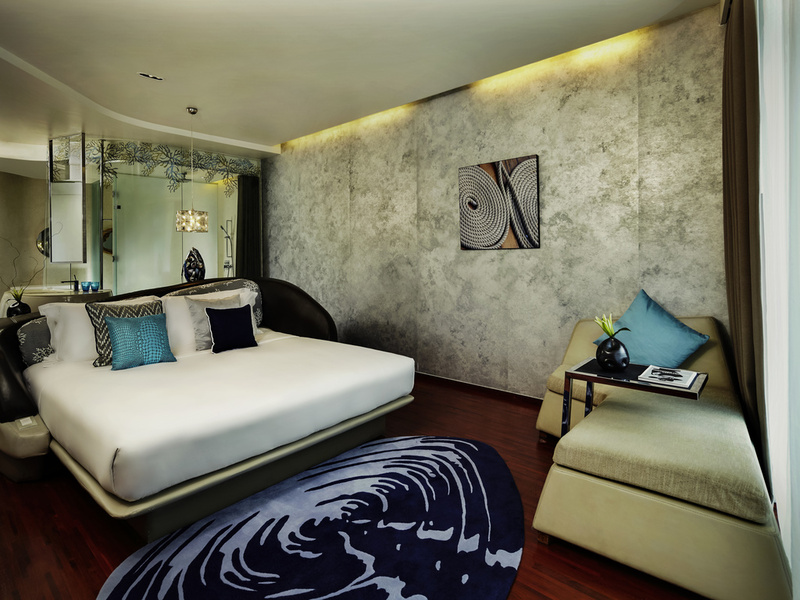 This designer Boutique Hotel in Pattaya offers a selection of luxurious rooms suitable for all travelers. 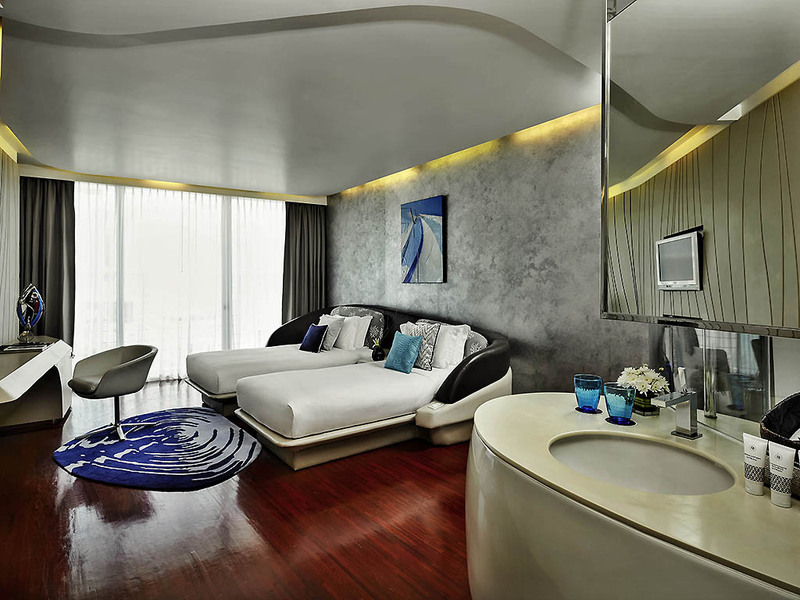 Guests will enjoy complimentary WiFi, gym and stunning swimming pool when staying at Baraquda Pattaya. 72 accommodation rooms with a cool sleek interior and decorated in cool whites and tones of sandy hues evoking the mood of a tranquil retreat at the beach. Pops of colour in the soft furnishings, link to the theme of the sea. With a generous 37 sqm, our comfortable king Deluxe Rooms come fully-equipped with the latest amenities and facilities, a private balcony overlooking the pool and free WiFi for a perfect Baraquda stay. With a generous 37 sqm, our comfortable twin-bedded Deluxe Rooms come fully-equipped with the latest amenities and facilities, a private balcony and free WiFi for a perfect Baraquda stay. Our spacious 75 sqm king-bedded Baraquda Suites feature a separate bedroom and living room with kitchen counter and come fully-equipped with the latest amenities and facilities, a private balcony and free WiFi for a perfect Baraquda stay. 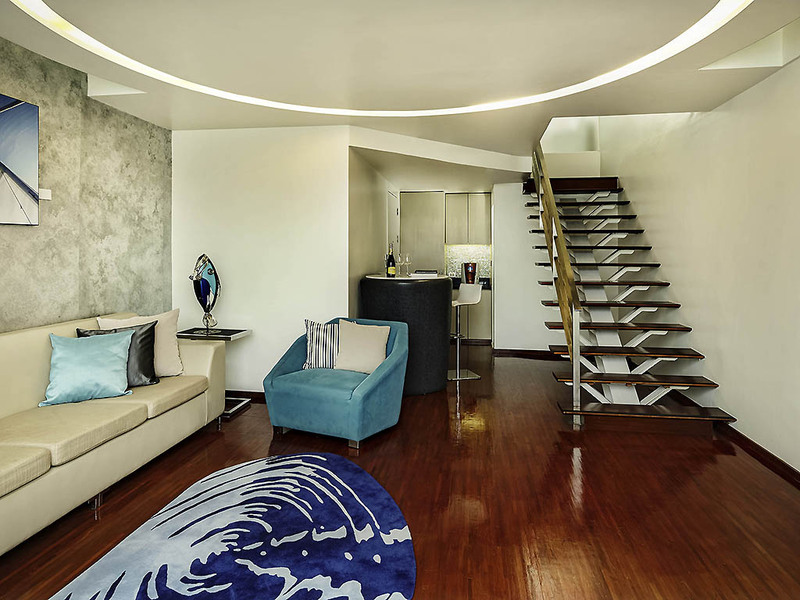 For the ultimate in opulence it's got to be the split level 85 sqm Grand Baraquda Suite featuring an en-suite Jacuzzi in the upstairs king-bedded bedroom, the latest amenities and facilities, a private balcony, free WiFi for a perfect Baraquda stay. Enjoy our wide range of culinary delights from the privacy of your room with our 24hour room service. Our rooftop restaurant serves healthy cuisine and offers a stunning view of the sunset in Pattaya. The all day dining restaurant serves international cuisine to cater to all taste buds. Quick dip light snacks and healthy drinks. Baraquda Pattaya offers a flexible meeting room, ideal for board meetings. Equiped with state-of-the-art visual and sound systems, the DNA meeting room also features high glass windows to take the most advantage of the daylight. For private parties and events, the Deep Bar can be privatised on request.